Socorro was the largest of the original nine counties formed by the American government in 1852. At that time, it ran east and west from the Texas border to the Colorado River, with Socorro as the county seat. In 1854, the county seat was transferred to Lemitar, perhaps to honor the death of Mexican Gov. Manual Armijo. Lemitar remained the county seat throughout the Civil War, and then returned to Socorro in 1867. During these early Territorial days, Socorro, like most towns along the Rio Grande, continued under the Mexican patron system, governed by a mayordomo, usually voted or appointed by the townspeople. The mayordomo, or alcade, was the administrative and judicial head of the community. In 1879, the Territorial Legislature passed laws that allowed the formation of incorporated cities and towns. Under these laws, incorporated towns must be governed by a city council and mayor, not an alcade. In 1879, the people of Socorro voted to incorporate, which began Socorro’s long line of mayors. A look at Socorro’s past mayors is also a look at Socorro’s pioneer and prominent families. The campaign to incorporate Socorro was championed by local businessman William Tell DeBaun. Through his efforts, Socorro was incorporated on Jan. 16, 1882. In November 1881, Socorroans went to the polls and elected a city council and William DeBaun as the town’s first mayor. He served for 1882, the first mayors were elected for only a one-year term. DeBaun was also the sitting judge during the famous Joel Fowler murder trial. The murderous outlaw was found guilty and sentenced to death. However, before the order could be carried out, Fowler was abducted and hanged on Jan. 23, 1884 — a victim of the Socorro Vigilantes. DeBaun also founded the Socorro Chieftain newspaper with the first issue printed on May 8, 1884. The Chieftain has served Socorro for 126 years since. Juan Jose Baca was Socorro’s second mayor and served for the year 1883. Born in 1843, he was a grandson to one of Socorro’s first settlers. This Baca family raised sheep and cattle and become quite wealthy. Juan Jose joined the militia and fought in the Civil War Battle at Valverde, in 1862. This Baca family is also well known for building one of Socorro’s landmark buildings on the corner of Bernard and Abeyta streets — today’s Stage Door Grill. The territorial-era house was first built by Juan’s grandfather, in 1848. In 1870, Juan expanded the building into a mercantile store. Upon the arrival of the railroad, in 1882, the second story and pitched roof were added. Later that year, Juan Jose Baca was elected as Socorro’s second mayor. 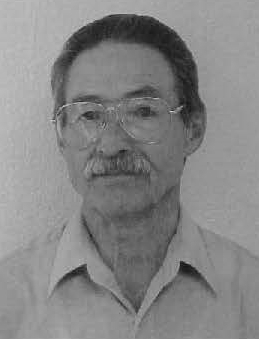 Juan Jose Baca was also elected to the New Mexico Territorial Senate, and introduced the legislation that created the New Mexico School of Mines in Socorro. When James Leavitt was elected as Socorro’s third mayor, in 1884, he was kept plenty busy in office, and beyond. On April 1, 1884, the Territorial Legislature passed “an act to incorporate cities and towns,” which began by disincorporating all towns prior to 1884. This meant Socorro was no longer an incorporated city. The county commissioners quickly applied for incorporation of Socorro. Mayor Leavitt refused to relinquish control of the city, the funds and records to the county. Basically, this was a fight between Democrats and Republicans over control of Socorro. 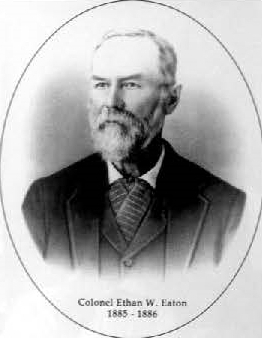 Ethan Eaton settled in Socorro following the Civil War and was called “colonel” the rest of his life. Having become an accomplished mining engineer, his wealth came from mining operations at Kelly. His real claim to fame was for organizing and leading the Socorro Vigilantes, hanging their first victim in 1880, and five others over the next four years. I’ve always wondered, how Eaton could be elected mayor of Socorro, when his illegal actions as town vigilante were so well known? Articles in the Socorro Chieftain make it clear the people of Socorro were less than pleased with Eaton’s renegade handiwork. The ongoing court case, determining whether or not Socorro was an incorporated town, may explain this. There is little mention in old Socorro Chieftain’s of Eaton being elected or his mayorship. It appears he may have been appointed by the Republicans to fill the office, or appointed himself, while Socorro’s incorporation was in court litigation. Thus, Eaton’s two-year reign as mayor seems purely symbolic with little or no power — a true lame-duck administration. When the Supreme Court upheld Socorro’s incorporated status, in 1886, an election was held, which seated Andrew Bahney and quickly replaced Eaton as mayor, assuming he actually was one. When Col. Eaton died, many of his private papers were destroyed by the family. As a result, little is really known about this prominent Socorroan. 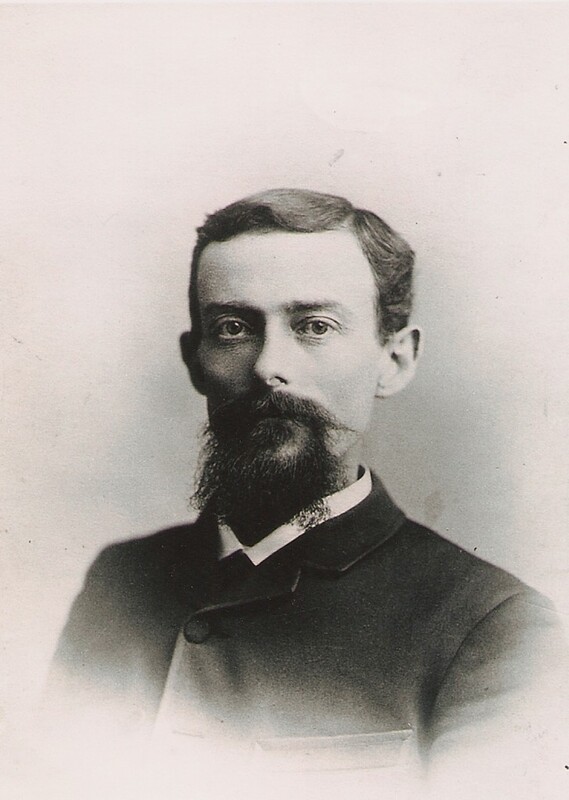 Andrew Bahney arrived in Socorro in 1881, and was elected to the first Socorro Organized School Board. Along with Ernest Brown, of Brown and Manzanares Co., they worked diligently for a $15,000 bond, from which Socorro’s first public school house was built on the corner of Park and McCutcheon. Bahney ensured it was truly public and open to both Anglos and Hispanics. This was a time when mandatory education was still years away. Although a new-comer to town, he was highly respected for teaching the “Three R’s” to all Socorro children. When Bahney ran for mayor in 1886, he won hands-down. He was reelected twice more, a testimony to his importance to the community as an educator. Mayor Bahney died early in his third term. Thomas Septimus Austin, an engineer at the Billings Smelter, was selected to finish Bahney’s term. However, Mayor Austin resigned in August because he was lured to Monterrey, Mexico, to help build a new smelter. He returned to work at the smelter in Kelly in later years, but not as mayor. Mayor Austin is omitted from most lists of Socorro mayors. Board of Education member Estanislado Chavez was selected to complete Bahney’s term, or was that Austin’s term? Chavez was one of Socorro’s pioneer families and a descendant of Francisco Javier Chavez, the first governor of New Mexico under Mexico, from 1822-1823. Chavez became an attorney in 1891, and immediately returned to Socorro, where he opened a successful law practice. Chavez was appointed as mayor to fulfill Bahney’s term. He also ran for mayor the following year, in 1892, and was elected, and also served as a Territorial Legislator. All in his first year back to Socorro! In 1903, Estanislado moved to Albuquerque as an attorney for the Santa Fe Railroad. In 1907, the railroad moved him to their west coast offices in Los Angeles, where he remained the rest of his life. Estevan Baca was another one of Socorro’s pioneer families and an active member on the Socorro School Board. He was elected mayor of Socorro for the 1894-1896 term, which continued the trend of electing educators. In 1889, Baca was one of several educators and prominent citizens that purchased 22 acres of land for the New Mexico School of Mines, today’s New Mexico Tech. Hardly a thing is known about this fellow, except he served as Socorro’s eighth mayor. We don’t even know his first name or why he only served a portion of his term. It is known that he ran against Socorro attorney Elfego Baca — yes, that Elfego Baca. In 1896, in an attempt to halt the Democrat-Republican rift in local elections, the city council voted that future mayoral elections should be non-partisan. As a result, Democrat Elfego Baca ran under the “First Independent Party.” Republican A.E. Howell ran under the “Second Independent Party.” How original. No wonder he left town. Elfego Baca is one of New Mexico’s most colorful characters. In spite of his controversial life, one thing is certain: He was a very good mayor for Socorro. The Socorro Chieftain endorsed the law “to prevent our youngsters going to the bad as fast as they possibly can from being out late at night and associating with the most rotten and depraved toughs with which Socorro is inflicted.” Is this ordinance still on the books? Later that year, a smallpox epidemic swept across New Mexico. Many died in Belen, then Sabinal, then La Joya. To the south, San Marcial and San Antonio began reporting nearly daily deaths. This was an epidemic nobody knew how to deal with. Mayor Baca quickly decided to quarantine the entire town of Socorro. He placed armed guards on El Camino Real, the only road leading into and out of the city. Deputized armed men met each arriving train to prevent anyone from disembarking at Socorro. Ticket agents were given harsh instructions that only one way tickets could be sold. Whether you left by road or rail, you couldn’t return. Elfego Baca completely isolated Socorro from the rest of the world. This was met with bitter opposition by some, but Baca’s “hired guns” prevailed. However, no local cases of small pox are reported in the Socorro Chieftain. Along the Rio Grande, Socorro was the only sizable community to escape the wrath of the deadly 1897-1898 small pox epidemic. The Socorro Chieftain does not report why Elfego Baca did not run for a second term as mayor. In 1898, the Hon. 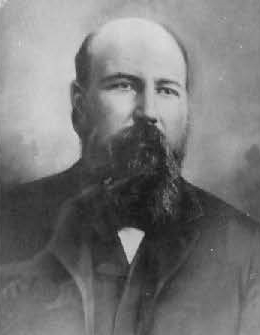 William E. Martin, of the Territorial Legislature, became mayor for a single term. Jose Torres was another of Socorro’s pioneer families and prominent citizens. He served on the city council for 16 years, was the Socorro’s town marshal from 1886-1890, and was elected mayor for the 1899-1900 term. 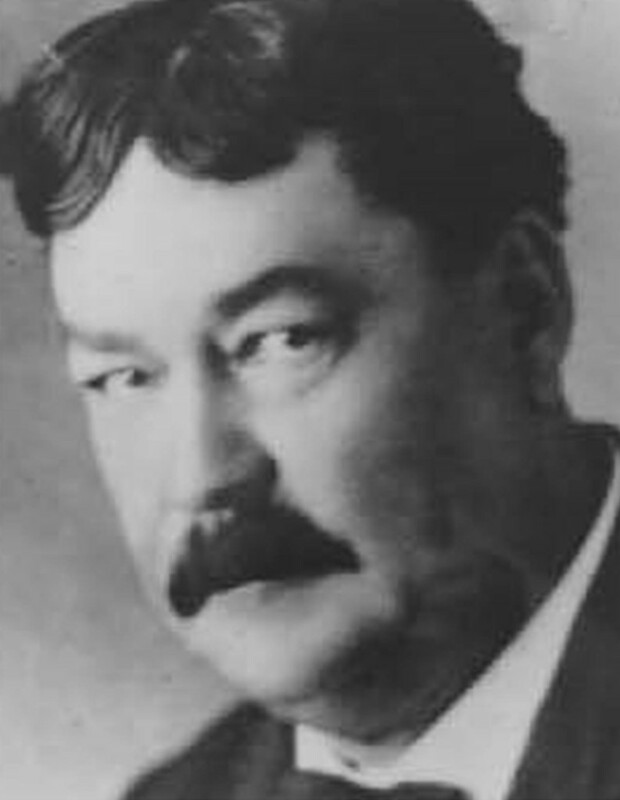 After his mayorship, Torres served as Socorro County Treasurer in 1905-1911, while also serving as a probate judge and vice president of the Rio Grande Supply Company. Great-grandson Chris Torres authentically restored and today lives in the former mayor’s territorial-era home on Bernard Street, next to San Miguel church. 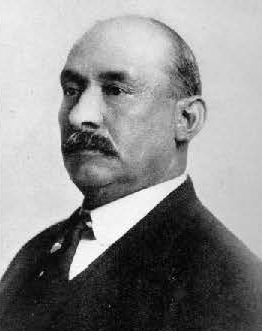 In 1900, Estevan Baca was elected mayor of Socorro. He had served once before in 1894-1896. James Cooney is well known for discovering silver near Alma. While working his lode in 1880, he and two others were killed by Victorio’s Apaches. 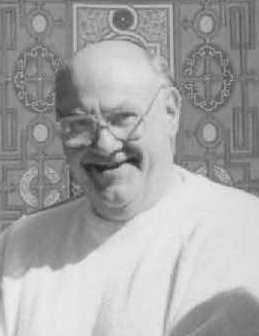 Brother Michael Cooney came to Socorro from New Orleans following his brother’s death and decided to stay. Many say because he caught his brother’s gold fever and prospected the rest of his life hoping to strike it rich. Michael Cooney spent much of his life in Socorro as a businessman and with local politics. He served as Socorro County Treasurer in the late 1890s, then he was elected mayor in 1901, and served two terms. Still, he would disappear for months at a time on secretive prospecting expeditions. Even later in life, he would often prospect alone for fear of being followed. On one such trek, 76-year-old Michael Cooney departed Socorro, along with his pack mules, on Oct. 26, 1914, and headed into the Gila mountains. Months went by and he failed to return to Socorro. His son, Charles, and Magdalena Marshal Bob Lewis, found his body the next spring in a deep canyon. He was searching for the Lost Adams Diggings, was overtaken by a heavy snowfall and died of exposure. His badly decomposed body was returned to Socorro and buried in the Protestant Cemetery. The house that Michael Cooney built still stands at 309 McCutcheon St.
Abeytia was born in 1856, in Santa Fe, and made a fair amount of money in the jewelry business in Santa Fe and Las Vegas. In 1896, he sold his jewelry businesses and moved to Socorro. Abeytia was a staunch Republican and entered public service by serving on the Socorro City Council from 1897-1903. In 1904, he ran against Michael Cooney for mayor and won. In 1906, after serving as mayor, he then served as Socorro County Sheriff. During these years, he also served as director of the Socorro Board of Education. In 1910, Abeytia was a delegate to draft the state constitution for 1912 statehood. He served as a senator in the first legislative assembly and as a regent for the School of Mines in 1908-1912. Aside from politics, Abeytia was also very instrumental in electrifying Socorro. He was one of the organizers and first president of the Socorro Electric Light Company. 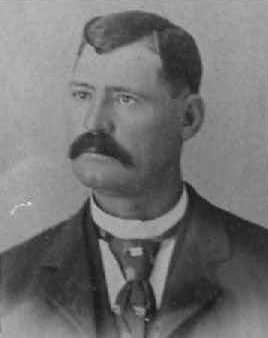 Holm Bursum served as Socorro County Sheriff from 1894-1898. In 1899, he was appointed superintendent of the New Mexico Penitentiary in Santa Fe. In 1905, he returned to Socorro, ran for mayor, and was elected for six consecutive terms, serving from 1906-1918. Bursum was also very active in territorial politics, a delegate to the 1908 Republican National Convention, and constantly fought for New Mexico statehood. He was one of the lead Republicans who drafted the New Mexico constitution. The Socorro Chieftain is full of Bursum’s accomplishments as mayor. His first year on the job, Socorro was struck with earthquakes, which damaged Socorro’s reputation more than it did houses. Bursum wrote letters to area newspapers setting the story straight — that Socorro was not in ruins. Bursum was also well known for cleaning up the town, often with prison labor, to build better streets, sidewalks and planting many of the town’s trees. In 1918, Bursum decided not to run for another term as mayor, instead he become a member of the Republican National Committee. From 1921-1925, Bursum served as a U.S. senator. Afterward, he returned to work his ranch near Bingham. The pioneer rancher, sheriff, mayor and senator died in 1953, at 86 years of age. William Eaton was the son of Col. Ethan Eaton (who dubiously served as mayor in 1885-1886). There is little written in the Socorro Chieftain about the election, except Socorro was stunned that Holm Bursum declined to run for a seventh term. Rancher Eaton halfheartedly stepped forward to fill the void, only to find himself actually elected. His term as mayor seems uneventful. Abran Abeyta was another native son of Socorro, born in 1861. As a young man, Abeyta began working as a clerk for Brown & Manzanares merchants in Socorro. In 1883, he married Amelia Stapleton. He joined his uncle and ran the Manuel Abeyta & Co. store in Socorro until 1913. Politically, Abeyta was a Republican serving as City Treasurer, City Clerk and in other offices. In 1920, at nearly 60 years of age, he ran for mayor, and easily defeated W.J. Eaton. Abeyta served two terms, and stepped down at age 64 — but would serve again from 1930-1936. A very young George Cook arrived in Socorro from Kansas, in 1881. He was educated in Socorro’s first public schools, and learned to speak Spanish as fluently as English. In 1894, he began working for the St. Louis Smelter Company in Socorro. Two years later, the smelter closed. Cook remained as custodian until 1912. In that year, Cook and Cony T. Brown purchased the abandoned smelter and made a fair amount of money recovering silver from the old slag dumps. George was a Democrat, and like his father years before, served as chief deputy sheriff of Socorro County in the early 1900s. In 1905, George also found the time to start a livery and transfer business, which by the early 1920s, he converted into one of Socorro’s first gas stations, garage and auto dealership. The G. E. Cook Garage was located on the empty lot now south of Sunset Liquors. In the 1920s, the City of Socorro was having severe financial problems. People were screaming for better streets (none were yet paved), sidewalks and streetlights like the rest of the civilized world. However, Socorro had few income sources. Cook challenged this by running for mayor as a businessman, rather than the descendant of a pioneer family. He was elected in 1924, and was considered a good mayor. He was reelected in 1926, after many improvements to Socorro and the building up of a sizable surplus of City funds. These funds were placed in the Socorro State Bank. 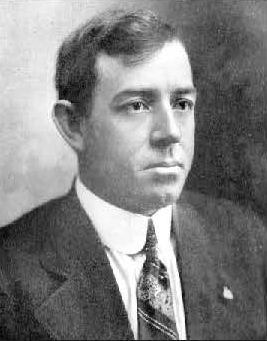 Cook’s good luck as mayor ran out when the Socorro State Bank failed in 1927. When the assets of the bank were sold, only a few cents on the dollar were returned to the city. Socorro became bankrupt overnight. Cook was criticized for failing to foresee the bank was about to go under. 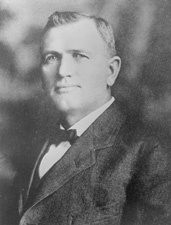 Republican Thomas Brown challenged Cook in the 1928 election, and unseated the 49-year-old Cook. Cook continued to operate the G.E. Cook Garage well into the 1950s, and retired at well over 70 years of age. Thomas Brown was the son of Anna and Cony T. Brown, one of Socorro’s prominent families. C.T. 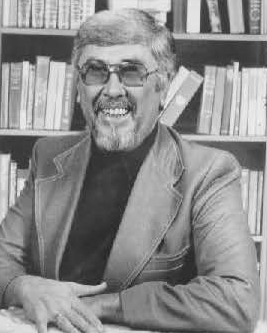 Brown, as he was always known, was a miner, businessman, founder of New Mexico Tech, donated the property for the School of Mines and other accomplishments. 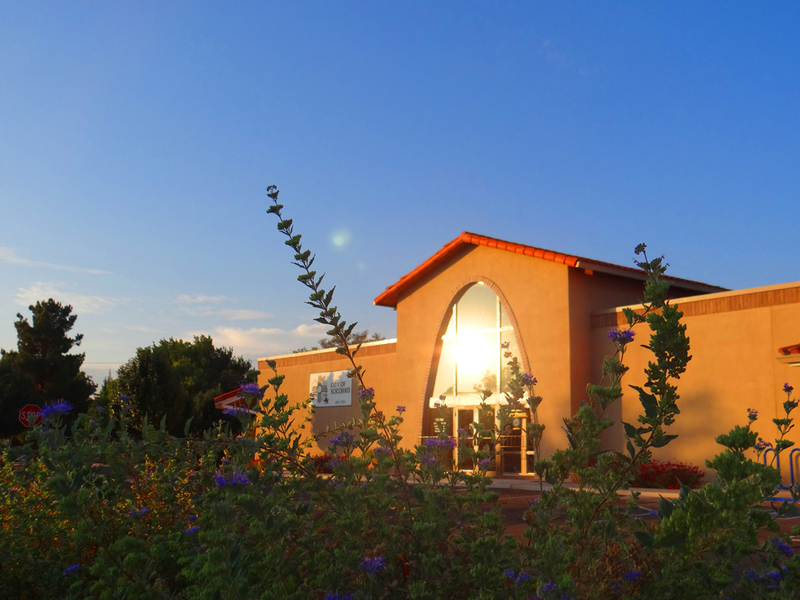 New Mexico Tech’s Brown Hall is named in his honor. In 1928, 33-year-old Thomas Brown, running on his father’s reputation, was elected mayor, while exploiting George Cook’s misfortune. Not much is reported in the Socorro Chieftain regarding his mayorship. It must not have been much since he was voted out of office two years later and replaced by the now aging Abran Abeyta. Thomas’ mother, Anna Brown, founded the Socorro Public Library, opened to the public a few days before Christmas 1924, which left a lasting legacy for Socorro. Abran Abeyta had served as mayor from 1920-1924, and ran for the office again in 1930, upon the urging of the Republican Party. He was 69 years of age when he was elected again and served as Socorro’s mayor — through the Great Depression for another three terms. Abeyta declined to run for a fourth term, and was relieved by fellow Republican Frank Chambon as the candidate for mayor. Joe Gallegos was the Democrat nominee (even though mayoral elections were non-partisan). For unknown reasons, Chambon backed out of the race at the last minute, which forced 75-year-old Abeyta to be the Republican candidate. He was defeated by Gallegos. I guess Socorro knew Abeyta was tired. J.O. Gallegos, as he was always known, was first elected mayor in 1936, and was reelected throughout the World War II years. He was a jovial, father-figure sort of fellow with a perpetual smile — just what was needed to hold Socorro together during the war years. This was a time of rationing everything from table salt to tires, an extreme hardship on Socorroans. Mayor Gallegos organized victory gardens, scrap metal drives and other events to help the war effort — and the people of Socorro. With many men overseas and dwindling town revenues, Socorro fared well through the war years under Mayor Gallegos. When the war was finished, so was Gallegos. He decided not to run for another term. 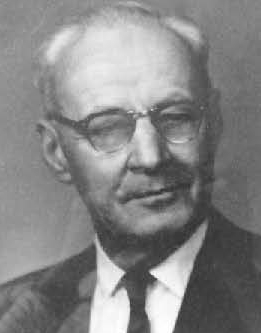 When Holm Bursum Jr. decided to run for mayor, in 1948, he was a successful rancher and president of the First State Bank. He was elected mayor based on economic recovery after the war. Under Bursum, Socorro improved with a modern water and sewage system, a gas pipeline, building of the Socorro General Hospital, and other needed projects. While life was good, by the late 1950s, Socorro’s population and businesses were stagnant, tax revenues were declining and grant money dried up, which depleted city money and left projects unfinished. 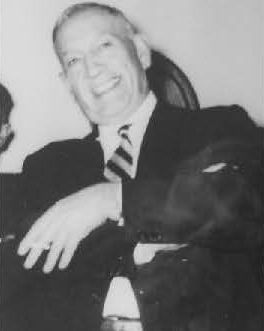 Frank Dailey defeated Bursum, in 1958, on a campaign of change. Dailey owned an insurance business and was highly involved with the National Guard. He and his wife, Peggy, were very well liked in town. However, once in the mayor’s chair, he found the city coffers empty and the same revenue problems as former Mayor Bursum. Few city projects were undertaken. Dailey succeeded in keeping the city running without adding further debt, but not enough to keep his job at the next election. Peggy (Paxton) Dailey is well remembered for her years as a school teacher and also taught music. Reminding Socorro what he had accomplished in his previous 10 years as mayor, Bursum defeated Mayor Dailey, in 1960. He continued his previous programs, which included completing the flood control around Socorro, building Spring Street and widening California Street to alleviate traffic through the Plaza. Many of Socorro’s streets were first paved in this era. 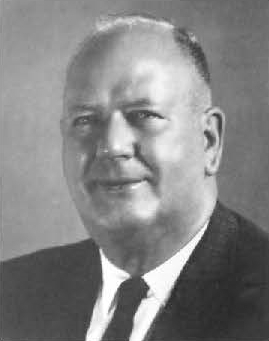 Holm “Papa” Bursum decided not to run for another term, in 1972, after a total of 22 years as Socorro’s mayor. Dr. Eugene Coulson and his wife, Delores, moved to Socorro, in 1959, to open his family medical practice. 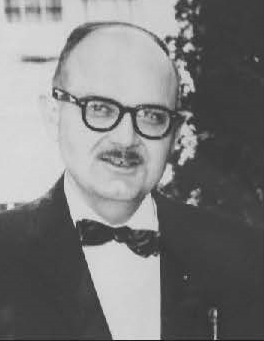 In 1968-1969, he went to Libya as a Peace Corps doctor, and reopened his thriving business upon his return. 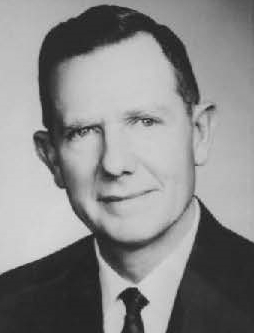 In 1971, Coulson decided to run for mayor, and served as Socorro’s first physician-elected mayor from 1972 through 1978. While in office, Mayor Coulson strived to improve the economy of Socorro, and encouraged businesses to move to Socorro to take advantage of the now thriving Interstate 25 traffic. Part of that program included cleaning up the town, but some old, historic buildings were razed, which irritated some of Socorro’s old-time families. In 1978, Coulson relinquished the office of mayor. He died three years later, at 57 years of age. 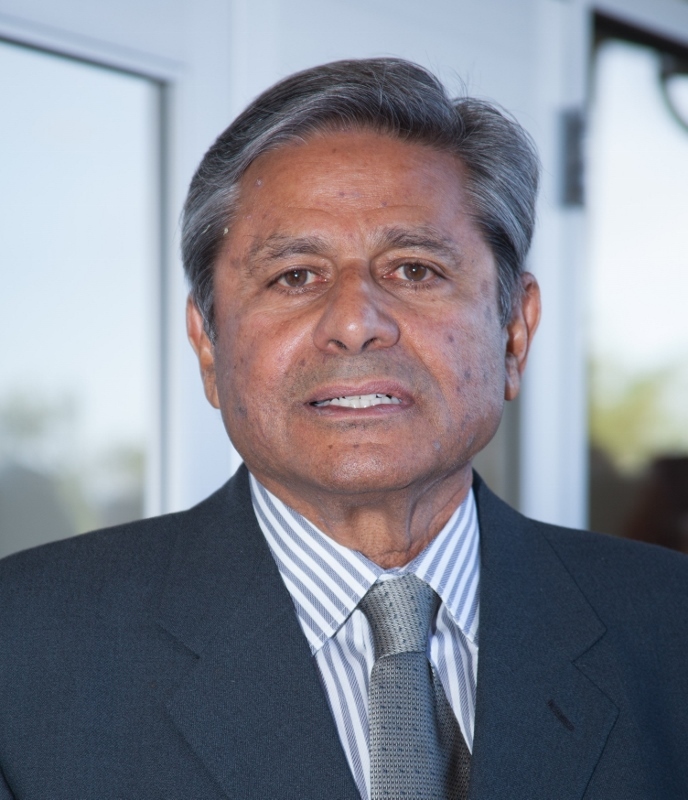 Tony Jaramillo was elected mayor, in 1978, on a campaign to improve city services. Many of the city and community services we enjoy today are due to Jaramillo’s two terms as mayor. Jaramillo led the way for the city to purchase the abandoned First National Bank building for a new City Hall and the Council Chambers addition — the City Hall we enjoy today. Jaramillo believed that the city should improve the basic services for Socorroans. Vast improvements to the Socorro Fire Department, police, water and recreation were set into place during Jaramillo’s mayorship. The new Socorro General Hospital, Good Samaritan Village and the State Fire Academy also came about under the Jaramillo administration. Once in awhile in life, and politics, stuff happens. In 1986, Dr. Angelo Meloro decided to run for mayor against Tony Jaramillo. Nobody quite knew why. It turned into a confusing and, at times, a very negative campaign. In the end, Meloro found himself elected mayor by a narrow majority. Nobody was more surprised than the doctor himself. Meloro began with good intentions as mayor. As time progressed, Meloro moved from Socorro to Belen, then closed his medical practice to serve as a physician in Catron County. After missing some city council meetings, his prolonged absences from Socorro were questioned. Dr. Meloro resigned with a long-distance phone call to City Manager Pat Salome. Following Mayor Meloro’s no-show resignation from the post, the Socorro City Council elected councilor David Jones Jr. to complete the last two years of Meloro’s term. One good thing to come out of the Meloro administration was the election of Dr. Ravi Bhasker as a city councilor. Four years later, in 1990, he ran and was elected mayor. Then again … and again. Dr. Bhasker now has the honor of being Socorro’s longest continuously serving mayor. At the completion of his present term, he will have beaten the 22-year record of Holm Bursum Jr. by two years. Mayor Bhasker continued the improvements to city services started by Mayor Jaramillo. Over the past 20 years, Socorro has enjoyed professional police, fire and ambulance services. Vast improvements have been made to water, sewage and general street repairs. Recreation programs, a Plaza face-lift and better parks have all come about under the Bhasker administration. The Chamber of Commerce and the newly formed Tourist Bureau bring us many events like Cinco de Mayo and Socorro Fest each year, and a welcome to thousands of visitors who come for these annual events. Perhaps just as important, Bhasker has brought a stability to city government and services that has greatly improved our quality of life in Socorro. History will be kind to Mayor Bhasker, and the 27 mayors over the past 128 years that preceded him. Information and photos of past mayors courtesy of City of Socorro, El Defensor Chieftain, “Leading Facts of New Mexican History,” by Ralph Twitchell (1907), Max Torres, Robert Eveleth, and the author’s personal collection.